In partnering with TRiNDS sponsors and clients can gain access to the Cooperative International Neuromuscular Research Group (CINRG). CINRG is a consortium of medical and scientific investigators from academic and research centers who share the common goal of wanting to positively impact the lives of neuromuscular disease patients and their families. CINRG is a successful clinical research network characterized by productivity, innovation and efficiency in muscular dystrophy research. The multi-center network mechanism offers an innovative approach to advance clinical research in neuromuscular disorders, since no single site has a sufficient patient base to conduct studies for these rare disorders. 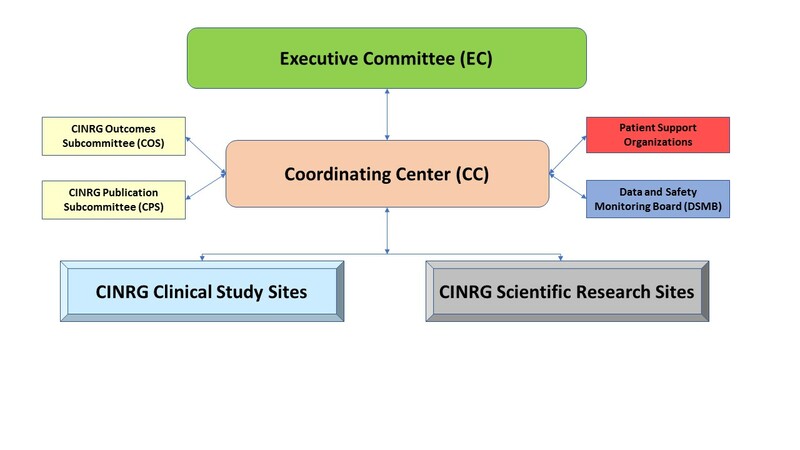 Since 2000, the CINRG network has demonstrated innovation in the provision of clinical research resources that support active global clinical neuromuscular research with multiple studies proceeding in parallel. CINRG has developed a successful, efficient leadership structure governing teams which is now run by TRiNDS of program managers, data managers, clinical evaluator managers, statisticians and other research personnel and resources.